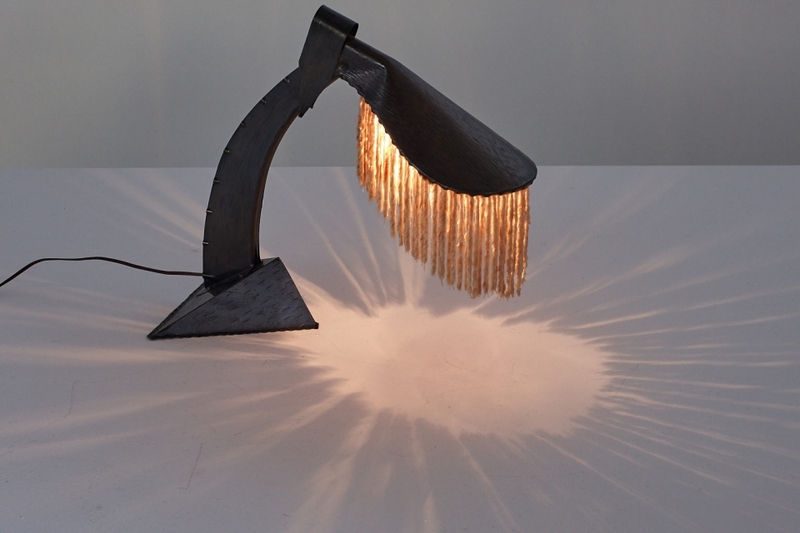 This unique desk or table lamp was designed and produced by Conrad Fehn around 1925. Fehn worked during the peak of the Amsterdam School period and is known for his daring and original pieces and his craftmanship. These singular expressive designs were executed by hand in his Haarlem workshop. 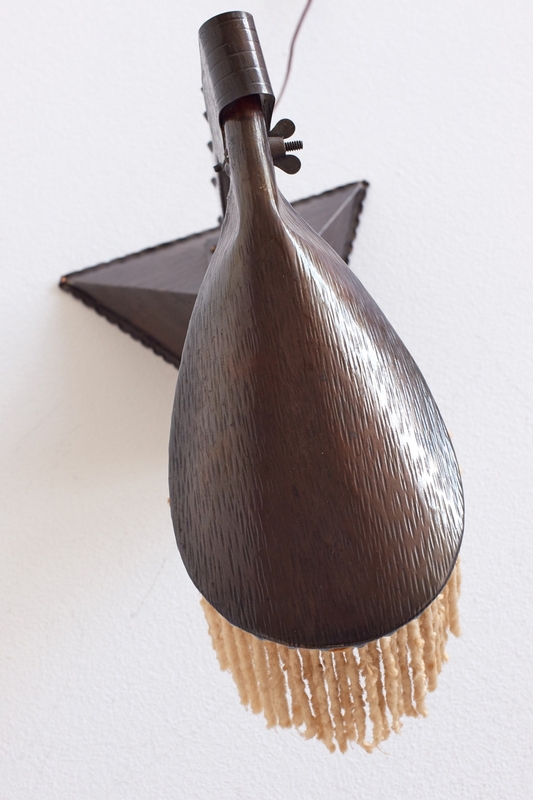 The frame is made of hammered copper with the chiselled details creating the illusion of a wood grain. 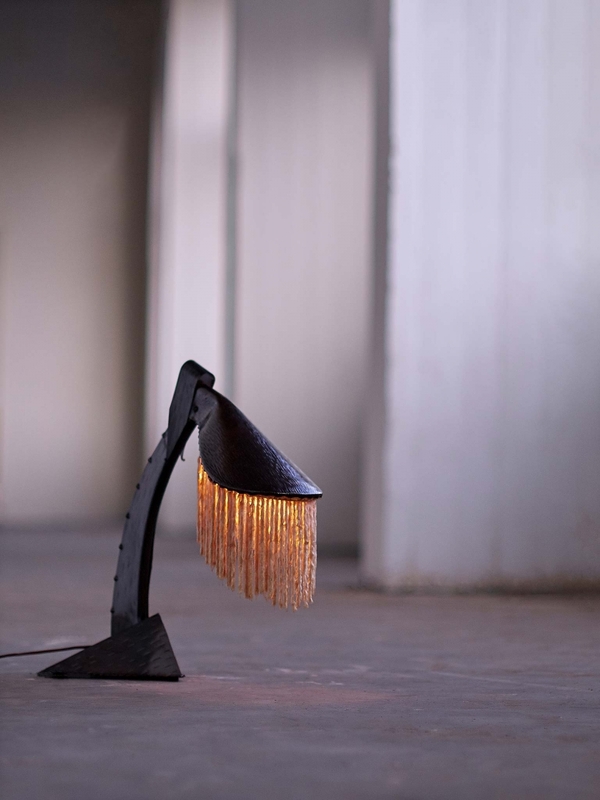 The silk fringes around the adjustable shade give the light an intimate glow. A highly original and hard to find piece. 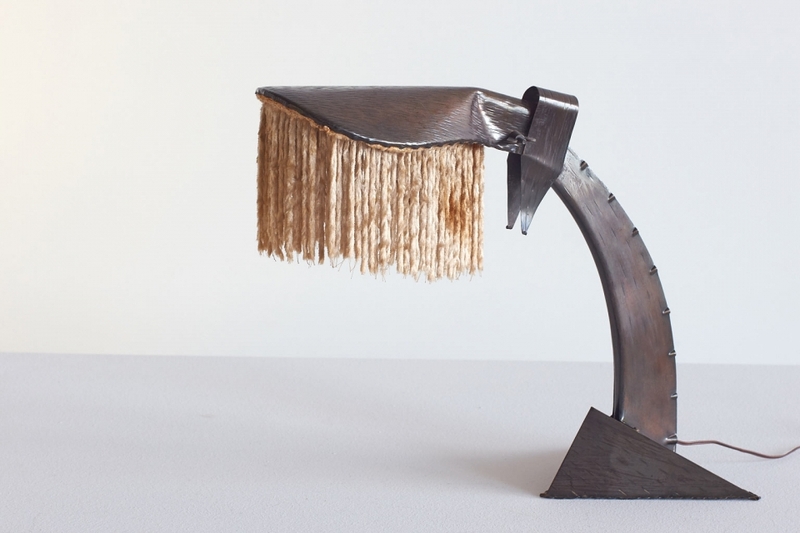 A nearly identical lamp by Conrad Fehn was recently on display at a large retrospective dedicated to the Amsterdam School at the Stedelijk Museum in Amsterdam. The unique Amsterdam School style is rooted in expressionist architecture and borrows certain elements from the Jugendstil (Art Nouveau) and Art Deco aesthetics. Bibliography: Living in the Amsterdam school - Designs for the interior 1910-1930. Authors: Ingeborg De Roode and Marjan Groot, published by Thoth, Bussum, page 200.